The goals of the Seventeen Moments site is to primarily bring together primary sources relating to Soviet History (transcribed in English) in one central location for scholars, educators, and students. The Soviet History site utilizes crowd sourcing to gather transcriptions only of primary source materials. The site provides a place for information exchange and a place of interaction for Soviet History enthusiasts. The Forced Labor Camp exhibit is part of the mission of the Open Society Archives at Central European University (OSA). Their primary goal is to "obtain, preserve and make available research resources for the study of Communism and the Cold War, particularly in Central and Eastern Europe, as well as the issues of human rights." The exhibit is a product of the overall mission of the Open Society Archives overall mission. The Seventeen Moments in Soviet History contains texts, images, maps and audio and video materials from the Soviet era (1917-1991). In addition to the primary source materials, the site provides a bibliography, a glossary, and site navigation by year or by theme. In addition, they have an about us section, privacy and copyright policy, contact us page, and an interactive forum for registered users. Generally, I think the breadth of the documents represent the collecting initiative of the project. 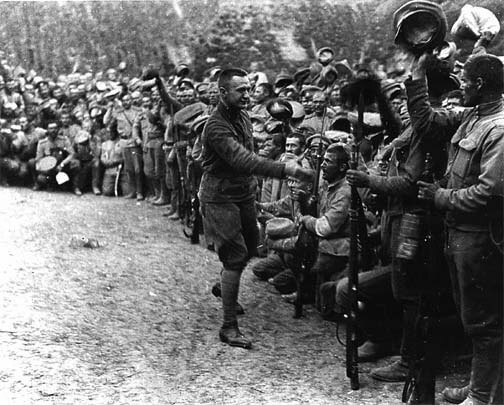 The Soviet History Site contains materials on the revolution. Types of materials include documents written by members of the Soviet state and by representatives of foreign governments. 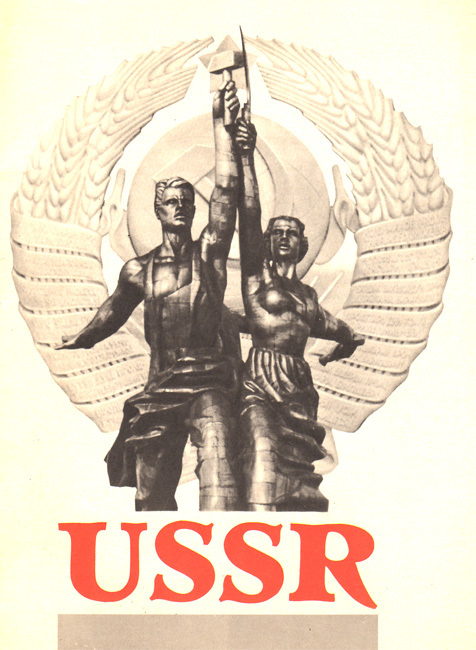 The site also contains a music archive with several Soviet worker's songs and anthems. There is also a photo gallery depicting daily Soviet life. The offers transcriptions, images, original images of sources, or points to book publications with transcriptions- however all of these features are rarely available for one document. The Open Archives exhibit is comprised of photographs, transcriptions, primary source documents, and added commentary (text boxes) and graphs. The difference between the content on this site, as oppose to the others is that the content is meant to be viewed in a particular order constructed by the curator. There is a narrative timeline that the contents are contextualized in for this exhibit. Seventeen Moments is funded by NEH and Macalester College. It's relationship to the academic world gives it some scholarly creditability. Materials on the site also address a wide variety of topics such as art, literature, politics, and Soviet Propaganda. The creator of the Labor Camp exhibit is the Open Society Archives, and their mission is to serve an audience of researchers. Despite the simple exhibition design, the way the primary source materials are presented with limited text explanations leads me to believe the exhibition is geared towards researchers in this particular field of study rather than children in a middle school history class. Seventeen Moments site is arranged by year and by subject, its materials are fully searchable, and most documents are translated into English. The site gathers material from a variety of information sources, therefore I think their representation/quality of original visual representations of documents varies. Most documents on the Soviet History Site that are represented are only in the form of transcriptions, and do not include options to view the original document. Click here for example of transcribed primary source In addition, the sources of some content not clear and the website is very outdated. Documents in the Labor Camp exhibition are presented as documents in an exhibit. They are contextualized in thematic series. 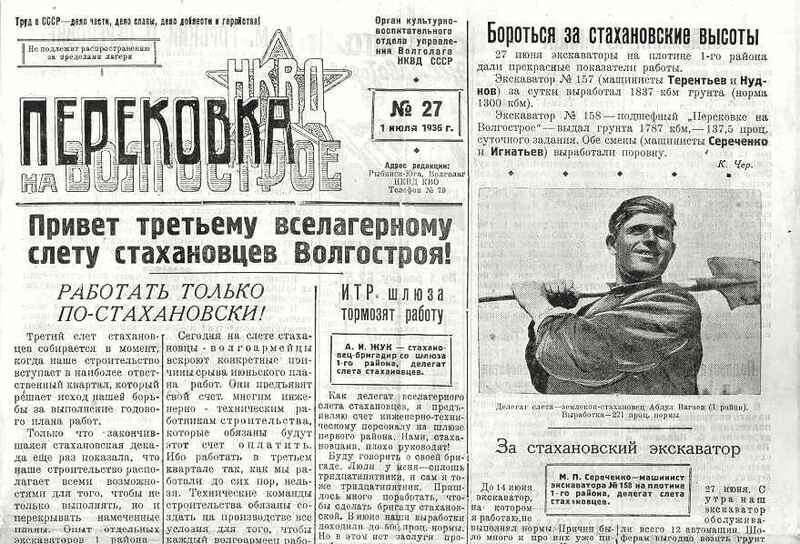 Seventeen Moments in Soviet History offers custom searching options by text, media, photo, subject, music box, glossary, bibliography, and personages. In addition, they have a google search box. The Soviet History site offers no customized searching options, only searching by browsing thematic topics. They offer a text index however it's very limited in the terms that are offered. The Open Archives exhibit is only searchable by themes listed on the main page. This seems fairly appropriate because it is an exhibit, however one must browse the whole exhibit to find any particular documents they might be looking for. Seventeen Moments is a well-organized site, and offers more substance to a scholarly audience. Their primary target audiences are scholars, educators, and students. The Soviet History site is a little outdated in appearence. The site seems to claim it has many users and contributors. A scholar or academic would probably not site the contents on this site, but perhaps they would use it as a forum to generate direction in their studies. The Labor Camp exhibit needs more information about the exhibit itself. A more detailed exhibition statement at the beginning would be nice, however I think the exhibit is ongoing. Therefore, I think the project is not through and the representation of the exhibition on the site is not in a finalized state.